Use this gourmet salt as a finishing salt or at the end of cooking. Discover the chef hidden inside you with this perfectly balanced -pyramid-shaped- salt. A luxurious artisanal salt with a pleasingly rich basil aroma, combined with a slight note of distinctive garlic taste. 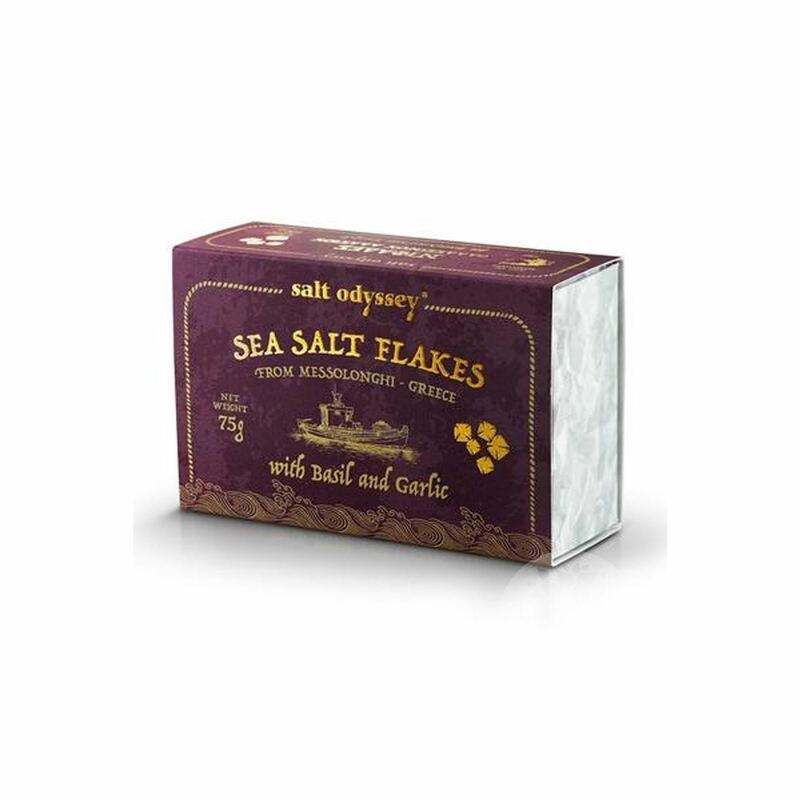 Use this gourmet salt as a finishing salt or at the end of cooking. Just gently crush it between your fingertips and sprinkle it over pasta, meat, chicken, fish or vegetables and enjoy its full, ripe taste! Use these wonderfully aromatic tiny pyramids as a finishing salt or at the end of cooking. The dry, crunchy texture and lightly marine salinity of this rare salt are used by chefs to accompany plates with fish, rice, pasta or vegetables.